Quagmire, 2011. 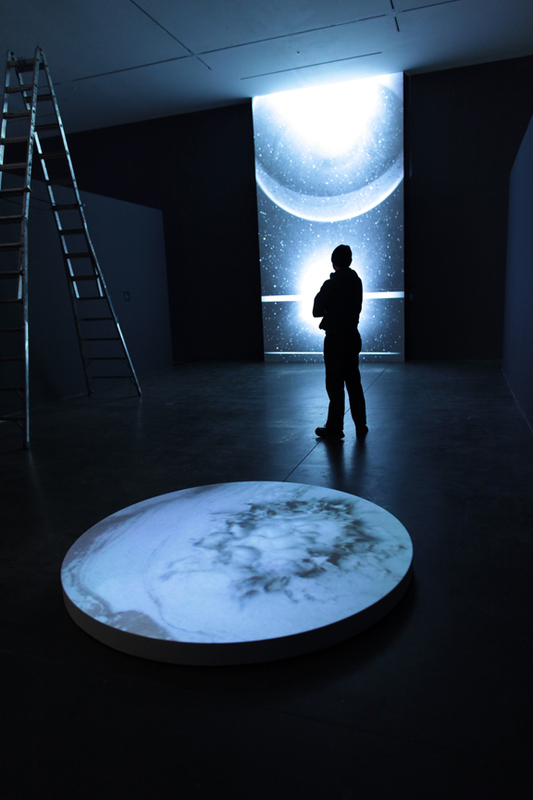 Single channel video installation consisting of video projection onto an 8ft-diameter platform. Installation view, few hours prior to the opening of WORLDS at the Williamson Gallery, Pasadena. Exhibition dates: October 14, 2011–January 15, 2012. Quagmire, 2011. Clip of single channel video projection. Projected onto an 8-ft diameter platform (wood, plaster and paint). Duration: Continuous loop. Mud eruption captured at Námafjall, Iceland. Exhibition History: WORLDS. Scientists and Artists group exhibition. October 13, 2011–January 14, 2012. Williamson Gallery, Pasadena, California. Curated by Stephen Nowlin, Director, Williamson Gallery. Quagmire, 2011. 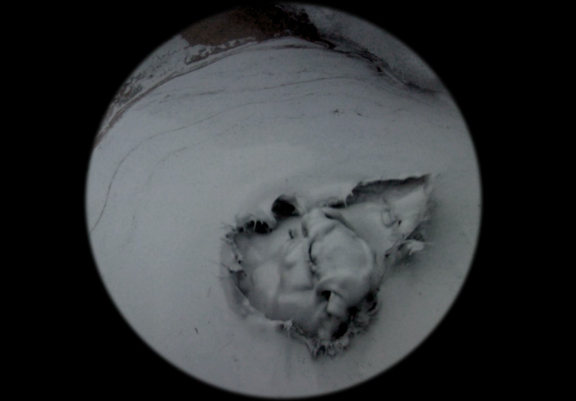 Still frame of single channel video projection. Projected onto an 8-ft diameter platform (wood, plaster and paint). Duration: Continuous loop. Mud eruption captured at Námafjall, Iceland.